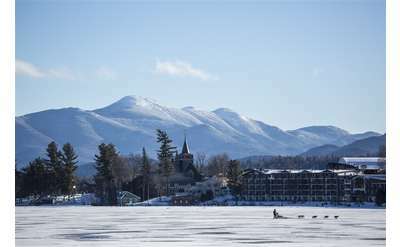 Bring your pet on your next Adirondack vacation! There's plenty to do with your four-legged friends in the region, including these dog-friendly hikes. See which hotels, resorts, cabins, vacation rentals, campgrounds and other lodging options are pet-friendly and start planning your trip. 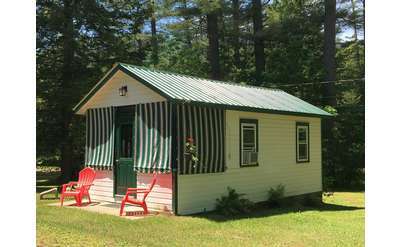 Nestled on an idyllic property on Lake Abanakee in the Adirondacks, Beach Point is a beautiful and comfortable cabin with a large private beach! Enjoy scenic views and over 200 feet of prime shoreline during your relaxing stay. We are dog friendly! 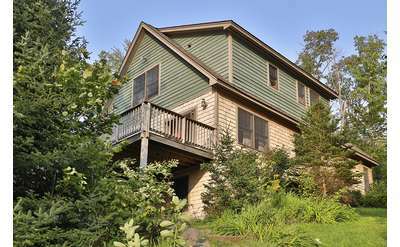 Find your home away from home at Pike Point in Indian Lake, NY, a waterfront vacation rental property that accommodates up to eight guests. 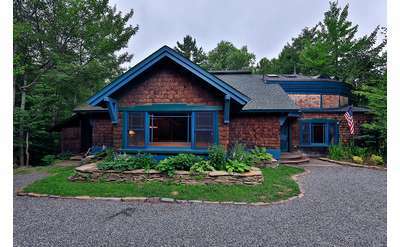 Pike Point is dog friendly and has four kayaks, two paddle boards, a canoe, and a fishing boat included. 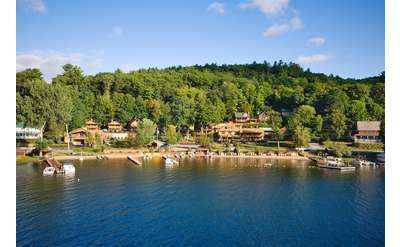 Built in the tradition of the Adirondack Great Camps, Garnet Hill Lodge is a four-season destination resort overlooking pristine Thirteenth Lake. Discover our spectacular mountain views, distinctive accommodations, superb cuisine, and outdoor fun. 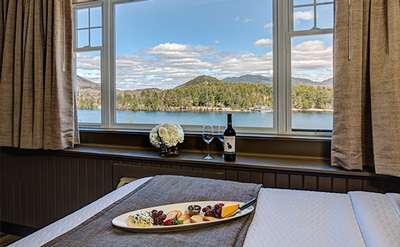 On Lower Saranac Lake, Ampersand Bay Resort and Boat Club offers a unique opportunity to enjoy the quiet luxury of a vacation rental with hospitality and service of a resort. Open during Spring, Summer and Fall. Book your wilderness adventure today! 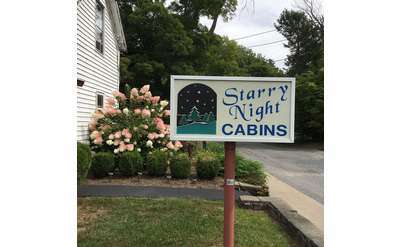 Located near Northville, NY, in the Southern Adirondacks, The Cabins in Hope feature three private and comfortable cabins nestled on the gorgeous Sacandaga River. They are a refreshing alternative to hotels and motels and provide the perfect escape. 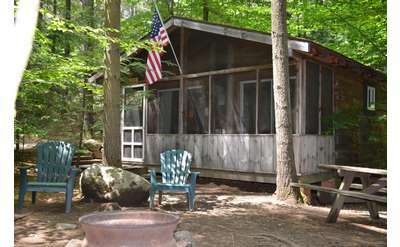 Long Pond Cabins features rustic Adirondack lakeside cabins in the Adirondack Park and Lake Champlain Valley. 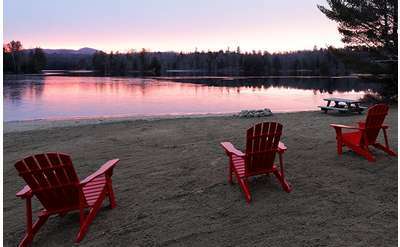 Enjoy Adirondack lakefront camping without the tent. We have recently transitioned to a Red Roof Plus+ Suites. 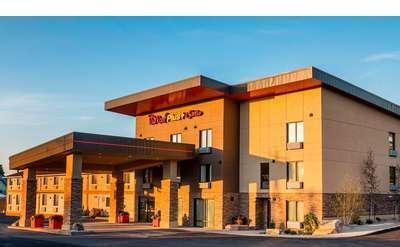 All rooms have been renovated, and we have added an 18 room expansion as well as added amenities such as an elevator, guest laundry and fitness center. 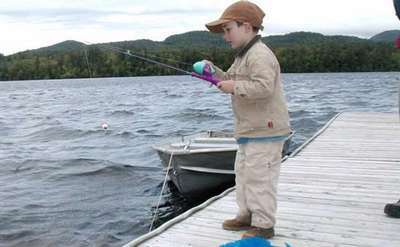 Daggett Lake Campsites & Cottages is a family-friendly campground in the Southeastern Adirondacks that offers comfortable, rustic, and peaceful cabins and cottages, as well as tent and RV campsites.